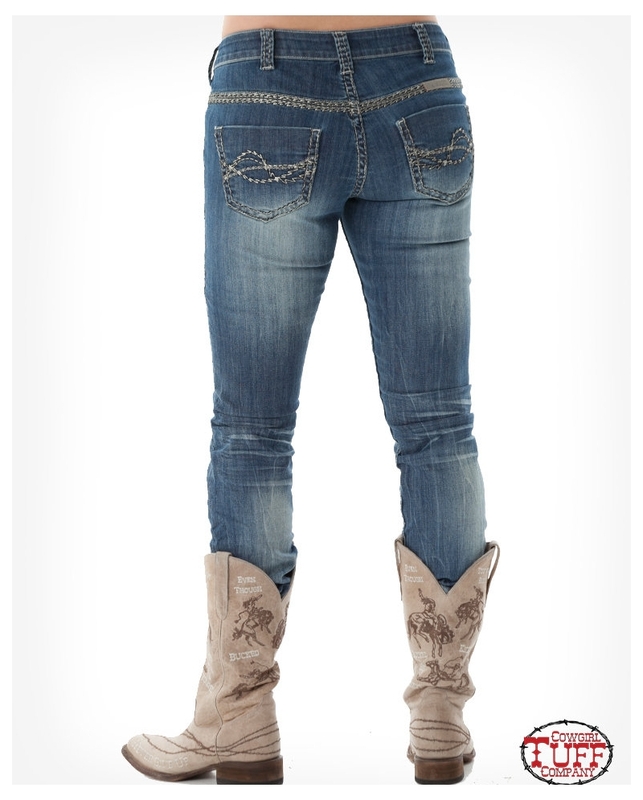 Strut your stuff in this gorgeous straight leg jean! The medium wash denim has a little more flex than our standard UnBELIEVEable fit; made with 28% spandex so it fits it all the right places. Styled with fun silver zig-zag stitching, distressing, and heavy whiskering. 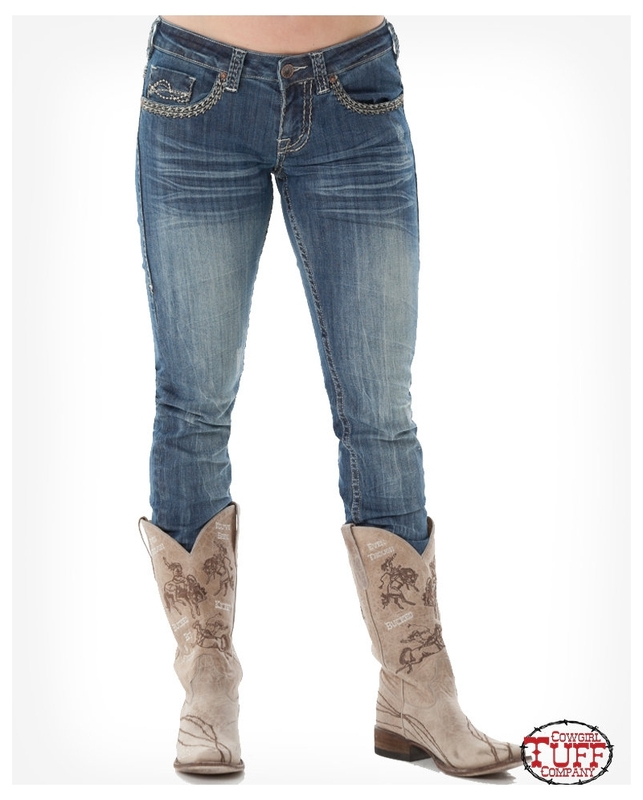 Pair with your favorite boots or heels for a stunning look!